In the near future these all will be arranged into different aspects of our movement to get down to the fundamentals of, "Simple Living/High Thinking". Our Position Papers,Guide in Life, and Inspiration.........................click here to view or below! In an effort to focus the Protect A Cow blog more clearly on cow sanctuary issues, we have created a separate weblog for Krishna-related topics. The new site is here: http://protectacow.typepad.com/krishna. Some articles may be moved from here to there, when (and if) we find the time to reorganize them. "We have to keep some cows.......Cow protection means just like Bhagavan, the Supreme Personality of Godhead, He is tending the cows............So in this movement, our one program is to respect the cows.........There are so many facilities afforded by cow protection, but people have forgotten these arts. The importance of protecting cows is therefore stressed by Krsna in Bhagavad-gita (krsi-go-raksya-vanijyam vaisya-karma svabhavajam [Bg. 18.44]). Talks with Dr. Stilson Judah Part II, "Community Life"/"Cow Protection"
The next stage is varnashrama dharma. We have distributed the idea in the shape of books. We've established temples. Now we will establish the community life, and it will expand and expand. As far as we are concerned, it will overflood... But [the] cow is very important animal. You get from its milk so many nutritious food. So apart from religious sentiment, from economic point of view, cow-killing is not good. And from moral point of view it is not good because you drink cow's milk, so cow is your mother." In these "Swami Jesus" letters, Prabhupada prophesied his mission and the persecutions that will come, and from "Judas" like disciples? A. C. Bhaktivedanta Swami Founder/Acharya of the International Sociey of Krishna Consiousness Final Orders Denied by "Senior Disciples" and Identifying "Ravana" and to stay with is "Suicide"
The awful truth is that Srila Prabhupada has had a desire to take part in "Simple Living/High Thinking" for many many years, it is a "continuous order" for us to follow. But during the final days of his manifest to material vision mission, he demanded, wished, pleaded and argued with his leading disciples, to assist him to again take part in "Simple Living/High Thinking". Giving his final order to go on Parikrama to Govardhana Hill, on Govardhana Puja Day travelling in a Bullock Cart. But the disciples did not fulfill that order. Below are some excerpts and after is a link to get the final days transcripts. Protectacow's Ralph Laurino in an article by a Major Farming Magazine, "Grass Farmer"
The following article in the link below, was written about our Protectacow's own Rasala (Ralph)!
" Grass Farmer" is the leading authority for publicizing and promoting the simplest, and most effective type of farming for Grazing Animals, especially cows. And since Ralph is "the World's leading authority on intensive grazing techniques for protected cows," of course he would have an article written on his glorious activities and accomplishments over the years. Ralph: "The bottom line of the International Society of Krishna Consciousness Farm for me is that cows and grass, even when they provide nothing but yoke power and manure, are allowing people who care about the planet to stay on the land"
The next symptom of the age of Kali is the distressed condition of the cow. Milking the cow means drawing the principles of religion in a liquid form. ...............................Despite all endeavors for peace and prosperity, they must try to see the cows and the bulls happy in all respects. Foolish people do not know how one earns happiness by making the cows and bulls happy, but it is a fact by the law of nature. Let us take it from the authority of Srimad-Bhagavatam and adopt the principles for the total happiness of humanity. Mailing List, please send in your info to stay informed. Please do not hesitate to contact me via email at protectacow@hotmail.com, or by telephone or post at 717-527-2683, P.O. Box 192, Port Royal PA, USA 17082. I look forward with great anticipation to your response. The Following First Article Written about A.C.Bhaktivedanta Swami Prabhupada arrival and Mission in the West., was obtained through work with the Butler Eagle News Paper in Butler,Pa., Prabhupada's first residence after arriving from India in 1965. 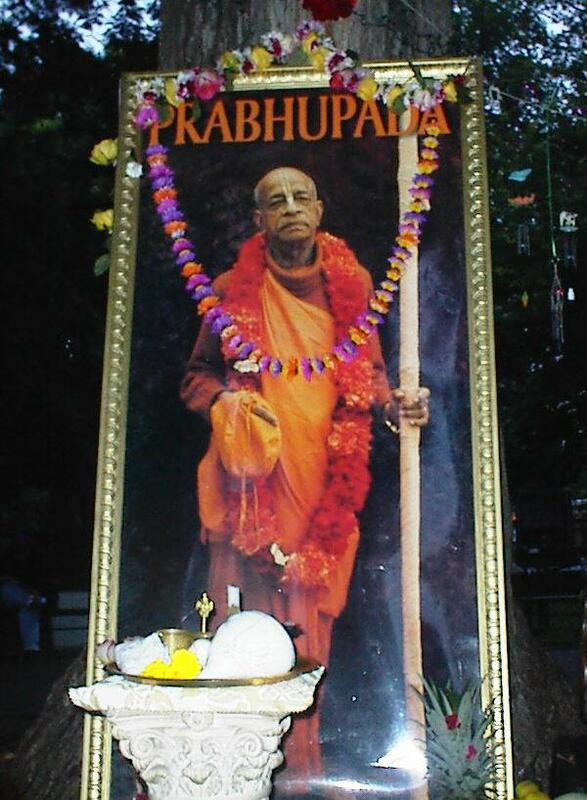 Prabhupada's great desire to preach the mission of Love of God to all in the english speaking countries, started here, and after only 5 days after arriving from a harrowing voyage by freighter, he was being interviewed as starting a............... "My mission is to revive a people's God-conciousness." "Instruct everyone to follow the orders of Lord Sri Krsna as they are given in Bhagavad-gita and Srtmad-Bhagavatam. In this way become a spiritual master and try to liberate everyone in this land." "The Guru Business" by Sulochana Prabhu/Entire Book! APPENDIX 20 These two tape transcripts are the "evidence" used by the bogus gurus to fool their Godbrothers into thinking that they had been appointed gurus. This first version of the "appointment" tape is the one that appeared in both Ramesvara's book (Appendix 2), and Jadurani's 1980 expose of the "gurus" called The Bona Fide Spiritual Master and the Disciple. Therefore, this version is the only one to date that has been widely circulated. Since this version can easily be misinterpreted to sound like an appointment of "gurus," we can safely say that this transcript was made by the conspirators. We can only assume that Jadurani never had a copy of the actual tape. Because she quoted the bogus transcript in her book, most devotees reading it thought it to be a bona fide transcript.